If you follow me on Twitter (and if you don’t – start now. I’m @SophWrites and I regularly tweet about what I’m drinking and where) you may have read my dispatches from Cornwall last week. I had a splendid sojourn in lovely Bude but the variety of beers available in the pubs there seemed smaller than it ought to be, so I ended up drinking rather more bottles indoors than I’d expect when on holiday. The problem seemed to come down to the fact that although there are a number of Free Houses in the area most of them seem to be stuck in the Tribute-Doom Bar rut. That is not to say these aren’t good beers – I enjoy a pint or two of either now and again – but with so much other Cornish beer out there the choice was too limited and rather dashed my hopes of New Beers on my hols. Luckily Bude is blessed with a rather fine independent off licence called North Coast Wine so I did get to try some new beers, albeit bottled ones. Oddly though, after my complaint about the rut (above) the best of these were St Austell beers. Their incredible black IPA‘Proper Black is heaven in a bottle – a tangy, hoppy dry beer with a captivating chocolate truffle aftertaste that also put me in mind of Cuban cigars – and their Cornish Bock, with its toffee apple and barley sugar flavours, which wouldn’t be out of place behind a European bar. Heaven in a bottle, despite the clear glass. I also had a bottle of Tamar Black from what I think might be Devon’s newest brewery – Holsworthy Ales (drinking Devon beer in Cornwall? An outrage!). A 4.8% rich, black stout the colour of espresso, it was an astringent, chocolatey brew with hints of rich fruit cake flavours and a dark chocolate and coffee aftertaste. It was a good beer. My only criticism being it lacked body for the style. Definitely one worth getting hold of though. Not all my drinking took place at home though. The Man and I ventured into one of St Austell Brewery’s pub called The Globe, where they had HSD (which apparently stands for Hicks Special Draught) in cask. 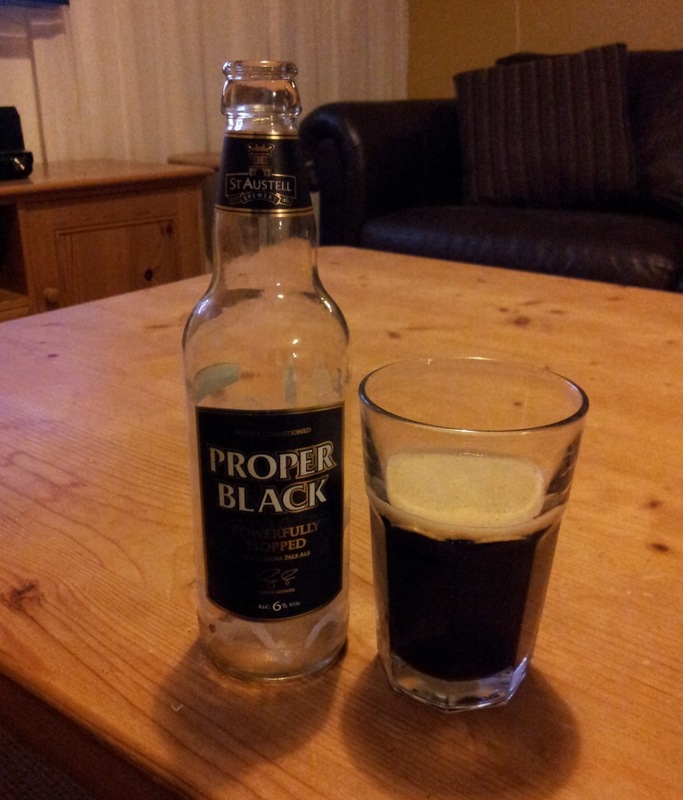 It’s a 5% sweetish, caramel flavoured beer with a dry hoppy finish and a malty aftertaste. Tasty and drinkable, but not enough to keep me in the pub for a second pint – although that could have been down to how uncomfortably hot the place was. In the village of Marhamchurch, just outside Bude I had a pint of eponymous beer at the Bullers Arms Hotel. General Buller Gold is made by the Tintagel Brewery. It was a citrussy brew with a slightly malty and wonderfully bitter aftertaste. At 4.2% it was a good lunchtime beer that felt like a proper reward for the three mile walk to the pub and also didn’t impact on my ability to walk the three miles back. 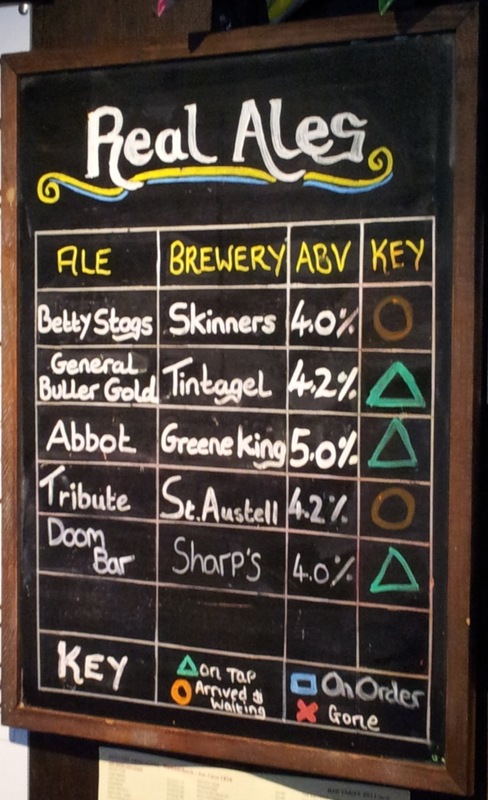 You will also find this beer under the name Castle Gold but Tintagel badge it as General Buller for the pub. It was a shame that we were staying three miles from the Bullers Arms because although it too had the ubiquitous Tribute and Doom Bar, it also offered three guest ales. I was impressed with its beer blackboard too – which may have been what enabled the man I spoke to on the phone to tell me, very confidently and knowledgeably, about what ales we could expect when we got there. Me and The Man have been taking our holidays in Bude for a few years now, but somehow we managed not to go into The Falcon Inn/Coachman’s Bar until this year. They too maintain the Tribute-Doom Bar monopoly but also offer a guest ale. The trouble is they had to get through the casks of monopoly beer before they could put the Spingo IPA on. I tried not to cry. Maybe I’m being a beer snob and should simply be glad that Cornish pubs are selling local beer but I’m afraid it was a game of Cornish monopoly in which there seemed to be two winners – neither of which was me, nor any of the county’s microbreweries. • What do you think? Is there a better choice of beer elsewhere in Cornwall? What sort of beer do you drink on your holidays in the UK? Next Christmas Ales – what’s that all about then? Sophie — down at our end of Cornwall (round Penzance) it’s St Austell/Sharps/Skinners. Of the three, we only *really* rate St Austell’s beers and, yes, we’re beginning to crave novelty. We find that, even when there are guest ales, regional chauvinism often means they’re from other Cornish or Devon breweries, so there’s not much variety in style, and some really woeful beers on offer. But it’s not all bad news. 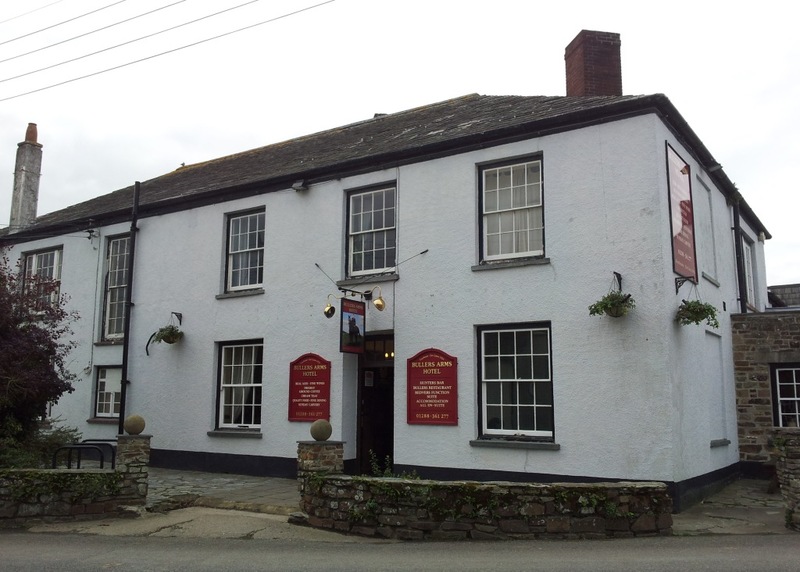 The Star Inn at Crowlas near Penzance has amazing beer, brewed on the premises, as well as guest ales, often from pretty far afield. Then, within an hour or two’s bus ride, there’s also the Blue Anchor at Helston, the Driftwood Spars at St Agnes, and the marvellous Front and Hand Bar in Falmouth. Thanks for the feedback. ‘Seems a good excuse to explore a bit more of Cornwall at least?! I work for a small microbrewery, Frys, and so you might say I’m biased but I agree about how sad it is to go into some Cornish pubs and find no real choice on offer. Normally a bit of ferreting around will help and if in Bude again, try one of ours at The Tree or Kings Arms in Stratton.